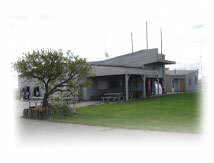 The Milwaukee Community Sailing Center is a private, not-for-profit 501 (c) 3 agency located just north of downtown in the heart of Veterans Park at McKinley Marina. MCSC provides educational and recreational sailing programs to those who wish to gain access to Lake Michigan and learn to sail; regardless of age, physical ability or financial concerns. MCSC owns and maintains over 60 boats and members have no-charge access to the fleet after they successfully demonstrate basic sailing skills and earn a rating. The Sailing Center also offers private boat owners boat and dinghy storage, mast stepping, launching and haul-out services. Each summer, MCSC partners with local organizations to provide sailing opportunities to thousands of at-risk and economically disadvantaged youth, the physically challenged and others. MCSC also provides social activities and volunteer opportunities to members. We invite you to learn more about a great organization. The Sailing Center is an active member of US Sailing (the national governing body of sailing in the United States) and follows many of their procedures and guidelines. MCSC also works with US Sailing and their Keelboat Certification Program to award national certifications to members of the Sailing Center and US Sailing.